ABAP developers can delete all data from SAP database table using one of two methods. First method is to create an ABAP program which runs DELETE ABAP command to remove all data from database table. 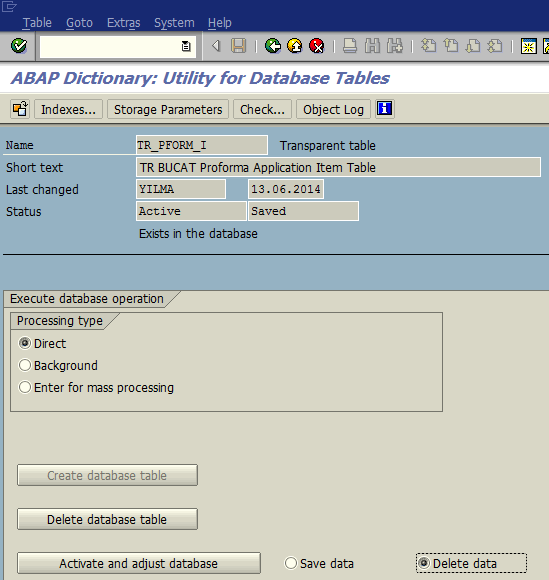 And the second method is to use SAP transaction SE14 ABAP Dictionary Database Utility to delete data from ABAP table. As summarized in introduction of this ABAP tutorial, SAP developers or SAP professionals can choose one of two methods to delete data from database table. To run ABAP program which includes the ABAP statement DELETE or to call SAP transaction SE14 Database Utility. Create a custom ABAP report and execute following ABAP program code. 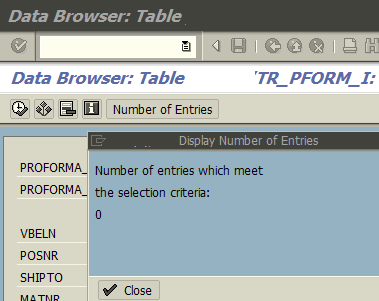 "DELETE FROM [tablename]" ABAP code deletes all rows from database table. After I execute "Delete From" command, as seen in below screenshot all data is deleted. Use SAP transaction code SE14 "ABAP Dictionary: Database Utility" SAP screen. Here is my demo table which I want to delete all entries in it. Be sure that you select option "Delete data"
Then press "Activate and adjust database" button. When I check the number of records in the database table using SE11, the query returns 0 entries.